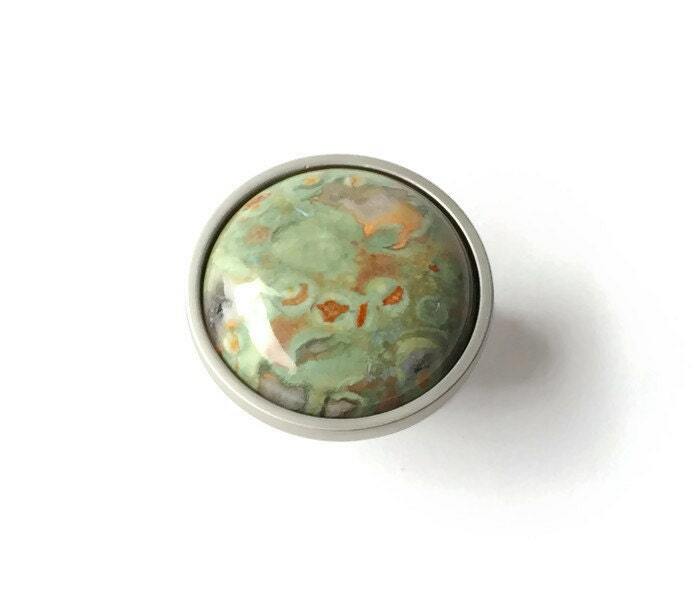 Pay homage to Mother Earth with a Rainforest Jasper Knob on your cabinets, drawers or desk. 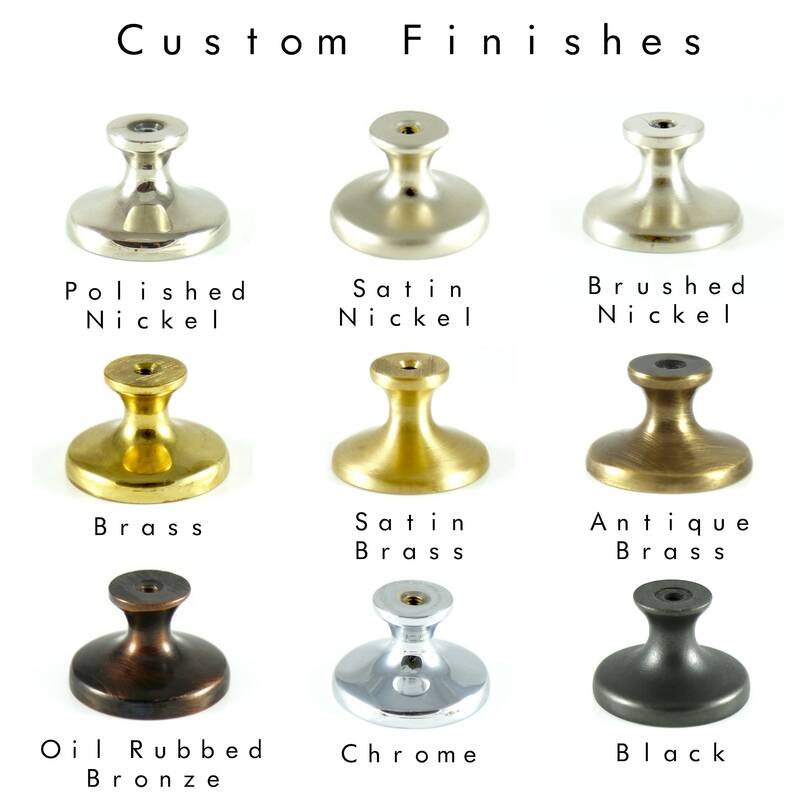 Choose your custom finish from the drop down menu! Excellent! I'm so pleased with this art. Thank you! Love them...makes a real difference on my cabinet. Beautiful stone and very well made. I had communicated with Stephen back in May about the likelihood of these working with the planned colors for my powder room. Although he *thought* they might work, he also thought the browns might be too brown. After looking at a gazillion other knobs, I took the plunge and ordered these. Walls are painted BM Palace Green, vanity is BM Caponata. 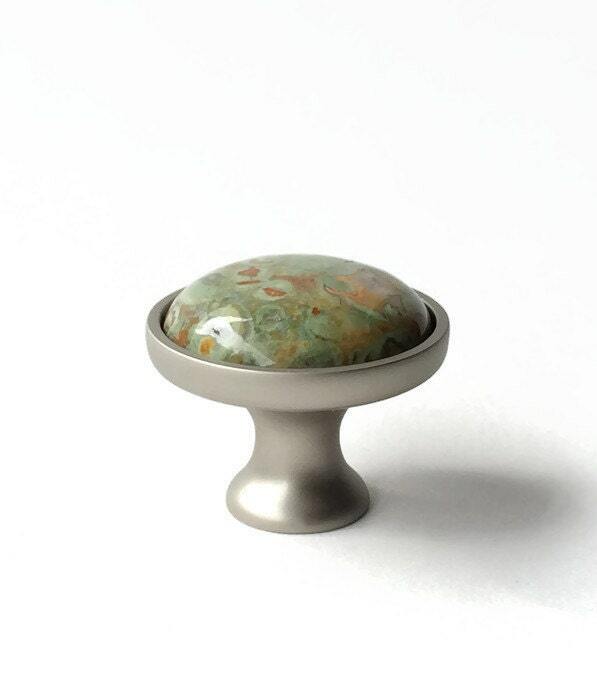 The knobs are absolutely beautiful! I would have posted a photo, but after several attempts decided no photo would do them justice. Ordered on a Saturday, delivery on the following Wednesday. Incredible artistry, incredible customer service. Five stars! 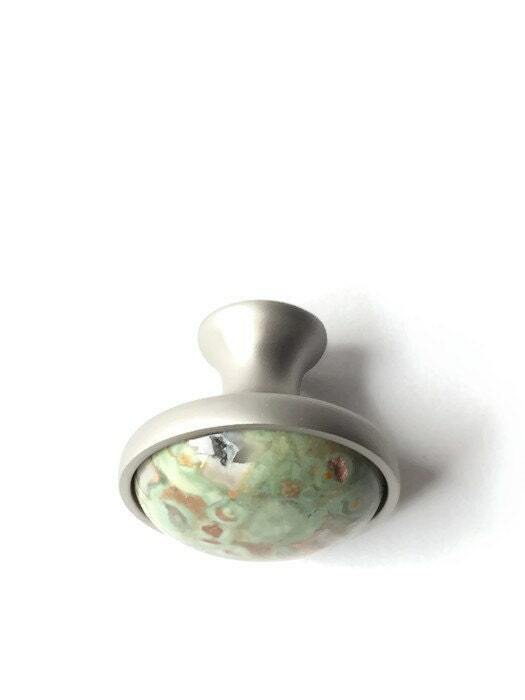 I love this drawer pull! It's like adding jewelry to your furniture, in my case a bed side table, to give it a more personalized upgrade! 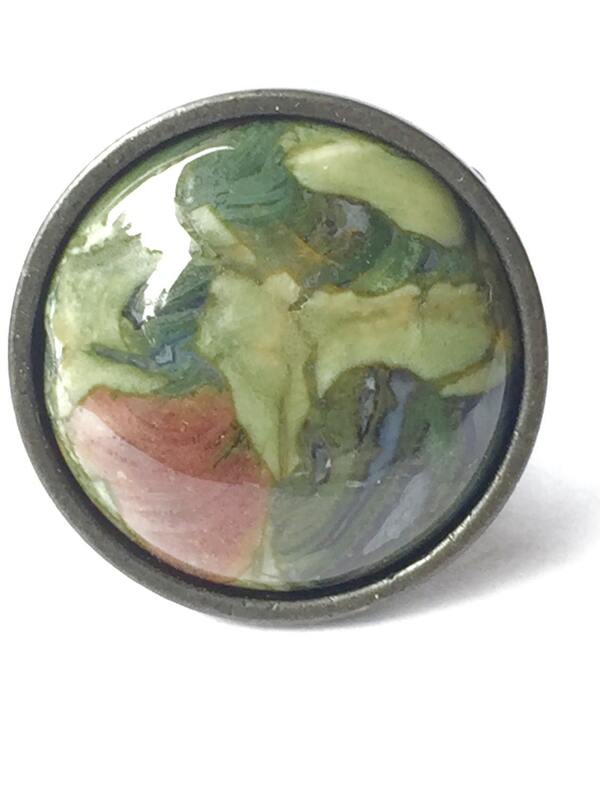 The stone itself is beautiful with all of my favorite colors, the shades of greens and Browns go great in my bedroom. I truly love it and would highly recommend this site. Unlike the stated waiting period, I received my 'knob' right away. The craftsmanship is gorgeous! Aloha and mahalo nui loa ( thank you very much) for this beautiful piece.